If you’re a gamer living in China, then you probably grew up playing on PC, or a console that had pre-installed games and a vaguely Nintendo-esque controller. If you’re a Chinese gamer and you’re looking for yet another console option to play those hot Triple-A games on, then today may very well be your lucky day. Beijing based Fuze Entertainment (best known for helping fund the Mega Man Legends successor, RED ASH: The Indelible Legend) announced on their website their new gaming console, the Tomahawk F1 (though many of the details came from ZhugeEX Blog). With China lifting the ban on consoles only a few years ago, the Tomahawk F1 looks to target developers and gamers who are struggling along with the high priced Xbox One and Playstation 4 in the country. A quick glance at the hardware shows that it takes a lot of inspiration from both consoles, the controller basically being an XB1 controller in everything but name, but runs on a custom Android OS and features no disk drive. The console will also be available in two versions: “Play” and “Elite”, the difference being the latter housing more storage space and a wireless controller charger. The goal with the Tomahawk F1 is to offer an alternative OS console experience that is tailored more to gamers and features support other Chinese “Smart TV” consoles do not have. Most importantly, the Tomahawk F1 features substantial developer support from both Chinese and international developers. Over 200 developers have pledged support, and over 70 games will be released this year including foreign titles such as Assassin’s Creed Chronicles, Mighty No. 9, DYNASTY WARRIORS 8: Xtreme Legends, and GRID Autosport. 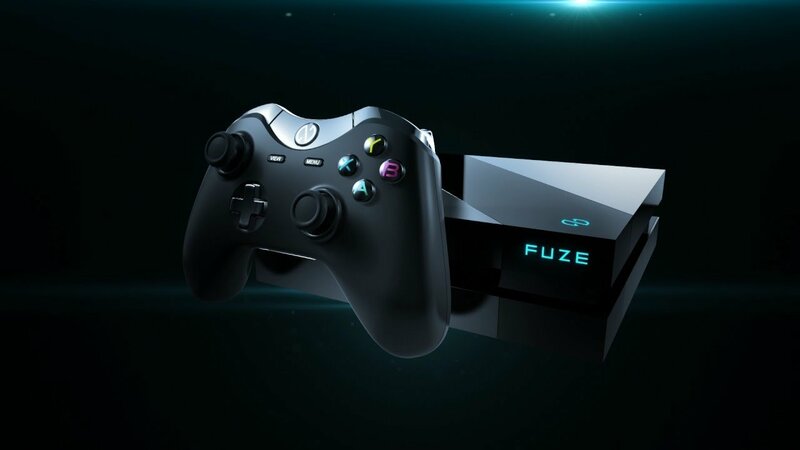 Fuze is also looking to include VR support for the console. ¥1499 ($230) for the Elite version. No release date has been announced at this time.